This might be the first Ben Stiller film I watched and strongly recommended it. I'm not saying it because Ben Stiller is not good, he's good, but not as good as most of my favourite actors like Tom Hanks, Johnny Depp, Leonardo DiCaprio. He has a few memorable movies too, Meet the Fockers and Night at the Museum. 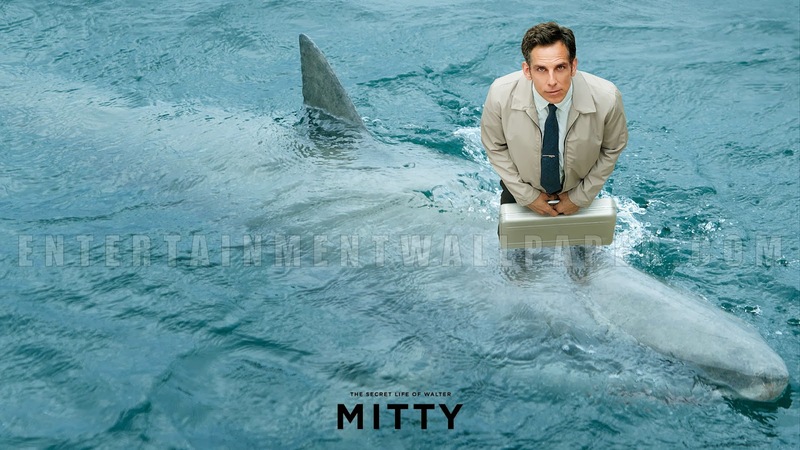 But The Secret Life of Walter Mitty, has just topped all his other movies. Walter Mitty is a professional day-dreamer. He zones out in between conversations, when he's walking, when he's drinking coffee, when he's... Basically every single normal activity, he just zones out. But sadly, in his real life, he's never been anywhere or done anything worthy to mention.One day, some critical situation happens at work, and Mitty decided to go full length to fix it. And all of the sudden, the daydreams stop. I felt the hidden message of the movie is a little close to Yes Man. Start living and try new things. However, the difference between the two movies are Yes Man is extremely funny and you can't stop laughing; While for Walter Mitty, it's humorous at the same time very inspirational. If you think this is not your type of movie, please still consider to watch it, the scenery in the movie worth everything. If you're having a down time of your life, watch it! If you need something motivation, watch it! Still think you don't get my message?